Accessing models and BIM project data in the field has been a high priority for our construction customers for some time now, and requested more times than I can remember. Around 10 months ago I was asked to product manage a team to build an app that could handle large BIM datasets - to say I was thrilled (and honored) is an understatement, as although I've worked on Navisworks for many years, this was the first product I'd be the lead for. No pressure. We were also keen for the App to be easy to learn, so we wanted to use gestures that are common in other standard Apps, such as two-finger pinch and drag to zoom and pan which you'd do with the iPad Photos App, for example. We wanted navigation to be appropriate for BIM, such as keeping the camera upright as you orbit around, and being able to walk; whilst also being compelling to use, like playing a game, something that you'd want to keep using and learn to master. Well, the wait is over. 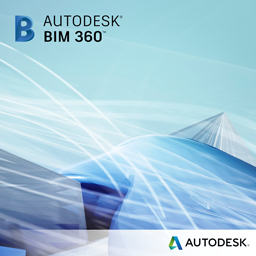 It's my pleasure to announce the launch of the Autodesk BIM 360 Glue mobile app for iPad! Haven't got an Autodesk ID yet? Create an Autodesk ID, it's free! How about this for us Android users? Just wondering if this will be available to access for PrDS & FDS users of Navisworks?